Based on consumer sensory research, the Avocados Australia-mandated standard for Hass avocado maturity is 23% Dry Matter (DM) at time of harvesting. 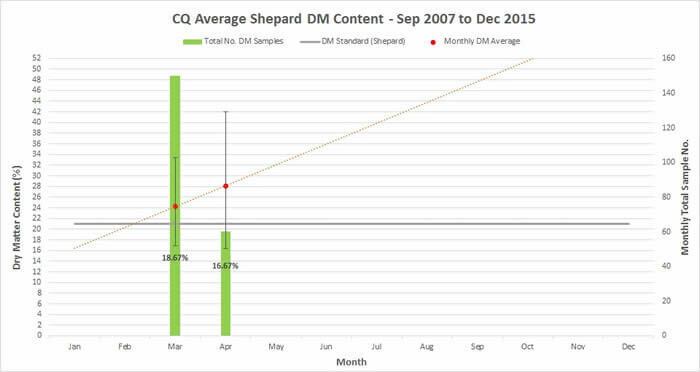 The Shepard standard is 21% DM. These levels have been proven to be the minimum levels to achieve satisfactory eating quality. 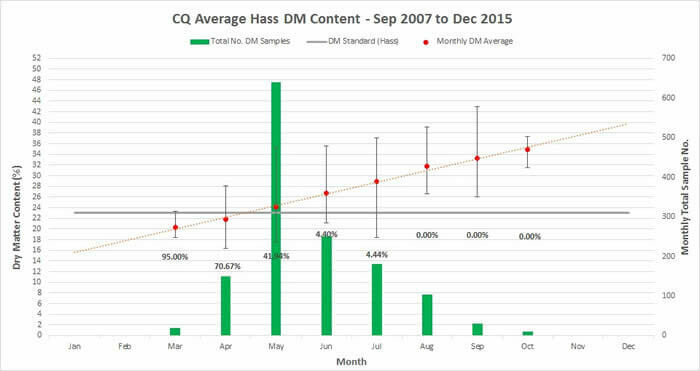 For more information about how to test DM at home view the information available in the Best Practice Resource. Avocados Australia undertook a project from 2007 to 2015 to monitor and report avocado fruit maturity. 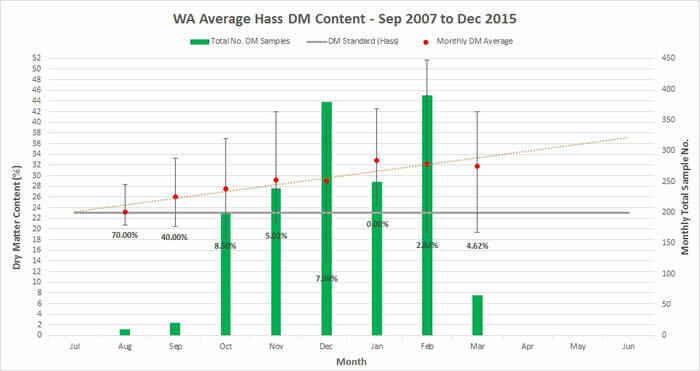 Random samples of avocados were taken on a monthly basis from the Sydney wholesale market and tested for DM percentage as a measure of maturity. The aim of this was to provide data illustrating how maturity levels of fruit available to consumers compared with known consumer preferences. 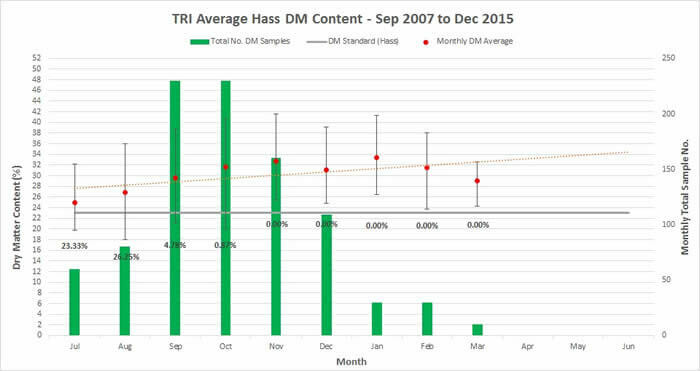 Individual results were sent to each of the growers whose fruit was tested in any one month. The data over the eight years has been aggregated by region and presented below. 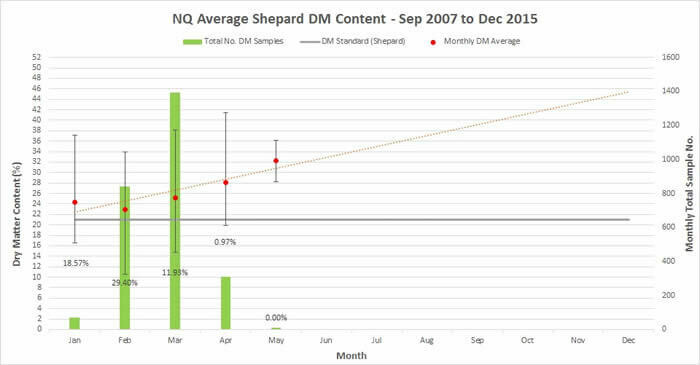 The green bars show the total number of samples taken in that month over the eight years. 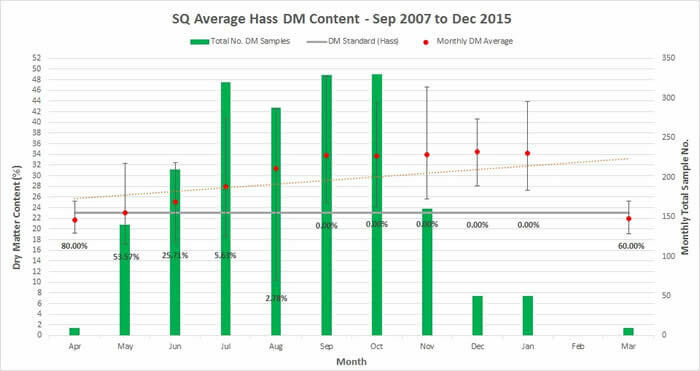 The red dot shows the average DM level for all of the fruit sampled in that month over the eight years. 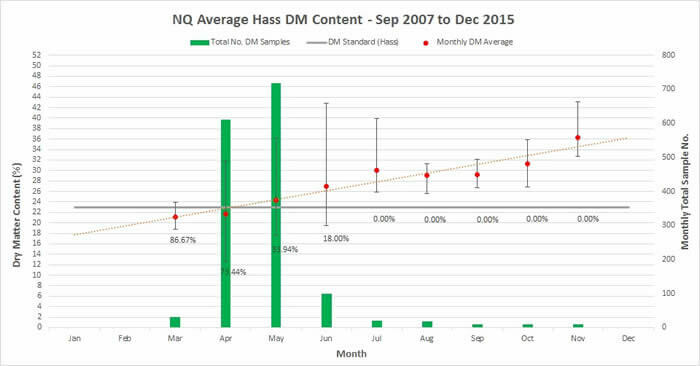 The vertical line shows the range of DM levels recorded for that month over the eight years. 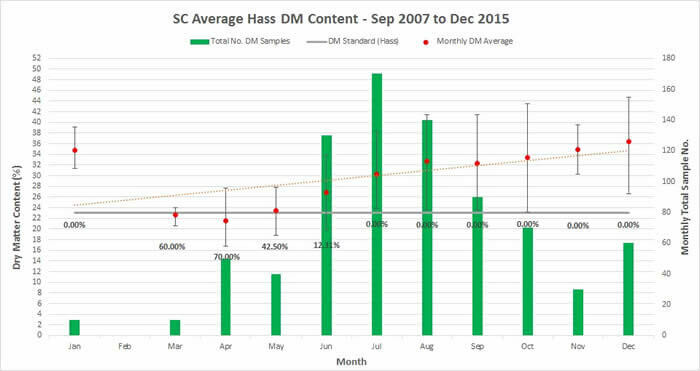 The percentage value indicates the percentage of fruit sampled in that month over the eight years that had a DM level below the industry minimum standard. Full details of the data collected over the eight years are included in the final report AV15011, available on the Best Practice Resource.